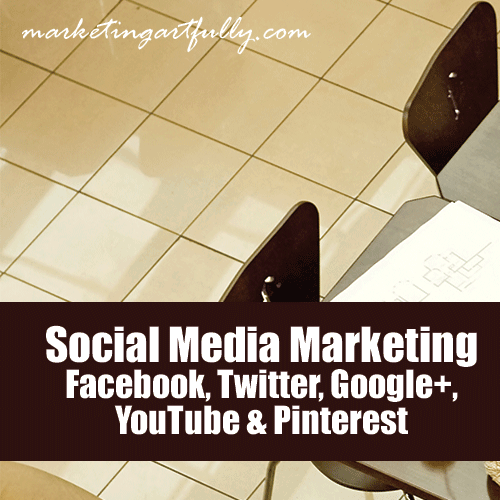 So today we are talking about social media marketing…that is Facebook, Twitter, YouTube (YES YouTube), Pinterest, Google Plus and all the other social media properties! The thing about social media marketing that is hard is that consistency is the key! You have to do things every day (or at least a couple of times a week), with a plan and a goal in mind. These are some of my observations about the different social media sites, suggestions for using them and notes about how the whole thing works! Facebook is a touchy feely kind of site. You have a lot of inspirational posts, talking back and forth with other people AND broadening your reach with your business. What you DO NOT HAVE TO DO is sell, sell, sell. You might get leads from Facebook, but if you are drinking the Koolaid and thinking that you are going to put up a business page and then watch the orders fly in, you are probably going to be disappointed. Facebook is for generating interest in your industry! Post to your profile wall – we get LOTS of potential clients who do not want to use their personal Facebook for business, if you are a small biz owner, your Facebook profile IS for business! Post to your business wall – these days this can feel like spitting into the wind for most of us, but is is still necessary for when a potential client comes to see your business, having a wall months out of date can mean losing them before you even have a chance! Twitter is for computers and immediate communication! Follow people – one of the easiest ways to get followers is to follow people, many times they will follow you back! Google+ is for search engine marketing! Circle people – one of the easiest ways to get into circles is to circle people, many times they will follow you back! Post keyword targeted info – I generally use my blog posts for this as that is my ultimate goal – to get people off of Google+ and onto my website! Profile setup – this is one of the most important aspects of Google+, getting to put your keyword targeted links into the heart of the Google! YouTube seems like it would be a little strange to classify as a social media website, BUT there are the same “connecting”, “subscribing” and notification functions that occur on all the social media networks. That having been said, YouTube is primarily a way to get your videos into the mainstream of the viewing public! YouTube is for video marketing! Make sure to post them on your blog or website to increase exposure! Pinterest, or something like it photo-wise, is the social media site of the future. Incredible growth and usage show that this model (of letting people “collect” information in a visual fashion from the internet) is very popular. If you are a small biz owner MAKE SURE you are jumping on this bandwagon TODAY! I guarantee within three years, most of the first contacts with you business prospects have online will be through a photo or a video! Pinterest is how marketing will be in the future!